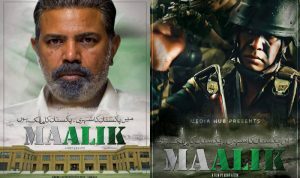 As known already the Sindh High Court has lifted the ban on Maalik movie by Ashir Azeem which was previously released on April 8th2016. The ban was placed by the Federal Information Industry. Ashir Azeem considered the ban unfair and persistently fought his case in Sindh High court. Now as the ban is removed and movie is allowed to screen nationwide. The new release date for the movie has been announced and it is 9th September.